Referrals are always the greatest compliment! 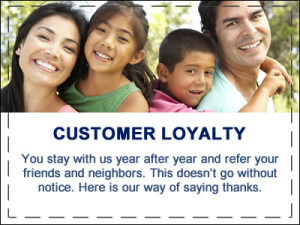 We love to reward our clients when they refer us. 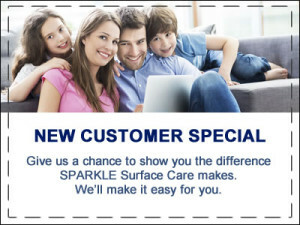 Each referring customer will receive $15 off their next cleaning. Become a champion referring client and get a boat load of free cleaning! 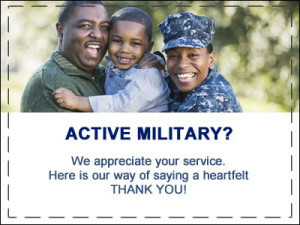 For Our Active Military Heroes and Their Families To Thank You For Your Service and Sacrifice! All first time residential customers for Carpet, Upholstery & Stone Care Services will enjoy $50 off their first time cleaning, assuming $127 minimum for clients within 25 miles, and $175 minimum for distance clients over 25 miles. Not to be combined with other offers.